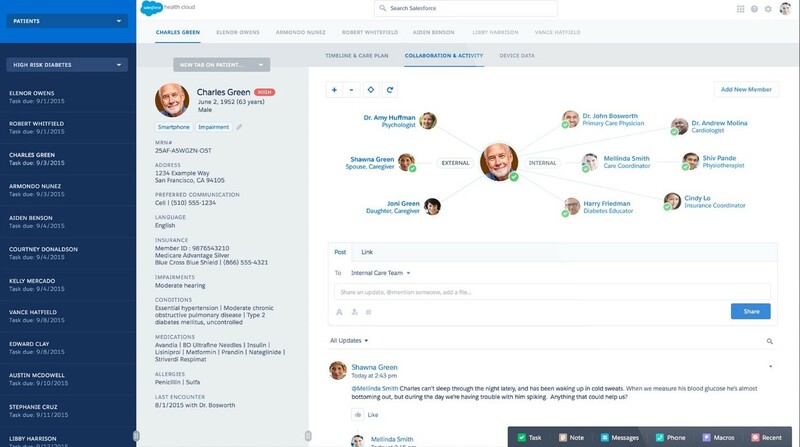 Is Salesforce Ripe for Partnership with Health Cloud as a Patient Relationship Operating System? Salesforce won’t compete with established transactional systems, but rather be a front end, as it’s not interested in being an electronic medical record provider like EPIC. As Salesforce CMO Dr. Joshua Newman told MedCity News, he sees competition from three places: electronic medical records vendors, startups and analytics firms. 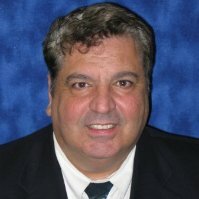 EMR vendors may be entrenched, Newman said, but “they’re never going to be Internet-focused and multi-tenant.” A multi-tenant approach typical of a cloud service like Salesforce helps manage patients seen by physicians with privileges at multiple hospitals, according to Newman. Existing EHRs and other healthcare software products are way behind the times in meeting new requirements for health systems to treat patients and doctors as customers and to build relationships with them, including patient engagement. It lets health systems that are willing to change their relationships with patients and doctors to do so effectively, with strong analytics and communications. It’s cloud-based and is purchased on a relatively inexpensive per-user, per-month price with no capital outlay. It’s built on the standard Salesforce CRM that has been battle-tested for years, with just those customizations needed to make it work for healthcare. It integrates with the EHR and other patient and provider data sources. The Salesforce open ecosystem allows using third-party apps when needed. It Includes tools that allow users to build their own rules and apps. Salesforce is a juggernaut that can force EHR vendors to open up their systems to obtain the data it needs. 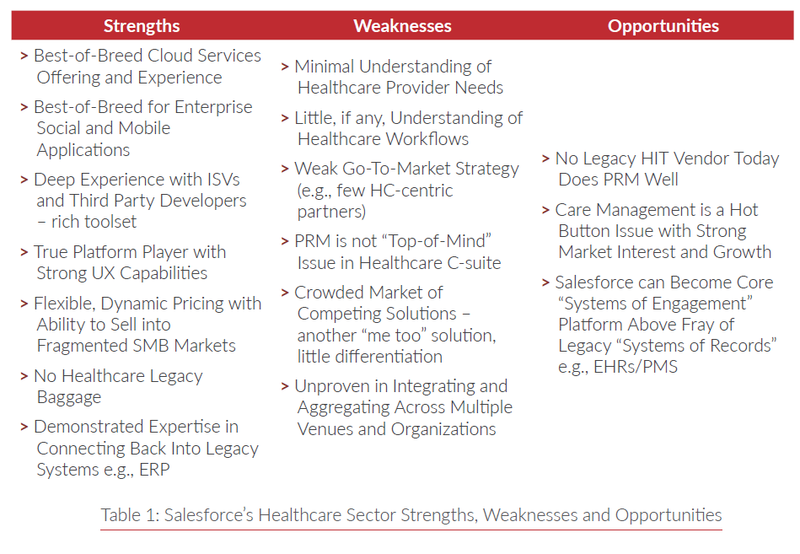 Salesforce isn’t Oracle or Microsoft – they didn’t create a healthcare-specific product from scratch or acquire a questionable one, so they have no incentive to rebalance their product portfolio and walk away from healthcare and leave users hanging as big healthcare toe-dippers tend to do. Given the optimistic outlook, what does this mean for healthcare startups and entrepreneurs Salesforce represents a good horse to attach your cart to. We’ve witnessed a plethora of companies go at patient engagement with their own custom solution. This approach lacks scale, established technology, and is crowded with competition. Not to mention, the path to monetization and profit is muddy at best. Further, Salesforce has built a rich ecosystem of extensibility via its app marketplace. Some could argue that this is exactly what healthcare needs. The content presented in the Health Cloud Integration eBook suggests that Salesforce is still in the somewhat nascent stages, with limited adoption outside of pilots. Despite this, HCOs who have implemented the platform, such as Cancer Treatment Centers of American (CTCA) have demonstrated tangible benefits. CTCA now uses Salesforce to improve service in three different areas: physician referral intake; a 24/7 contact center; and, patient communities. The result is a 60% productivity boost for their technical team. One of the benefits to patients is their community platform, built on Salesforce Community Cloud, that empowers patients and families to support one another, join groups, participate in local events, find educational resources, and chat in real time. In turn, CTCA benefits from an enhanced referral process that improves customer loyalty and provides another way to communicate with patients. There are clear gaps to fill. As the saying goes, “if the doctor doesn’t use it, it doesn’t matter.” Insights must reach the point of care and not be disruptive to existing workflows, but rather enhance it. It’s in this vein that partners are needed build the detailed workflows to support patient and care team communications. 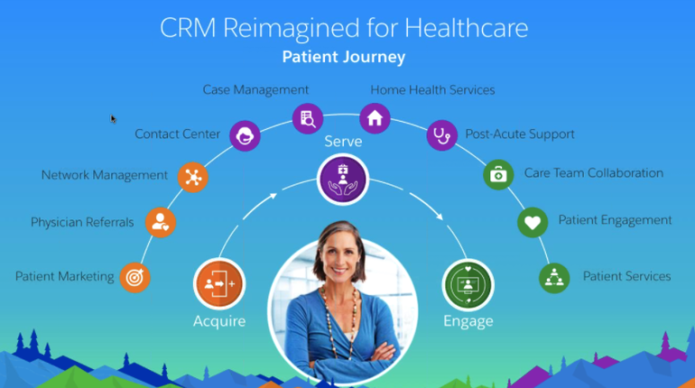 Salesforce represents a great candidate to partner instead of going at the crowded patient relationship management and patient engagement space alone.